An Airbus KC-330 Cygnus multi-role tanker transport aircraft of the ROKAF. Photo c/o SK Ministry of Defense. The Republic of Korea Air Force (ROKAF) received its second Airbus KC-330 Cygnus Multi-Role Tanker Transport (MRTT) aircraft, as announced by the South Korean Ministry of Defense (MOD) on 28 March 2019. 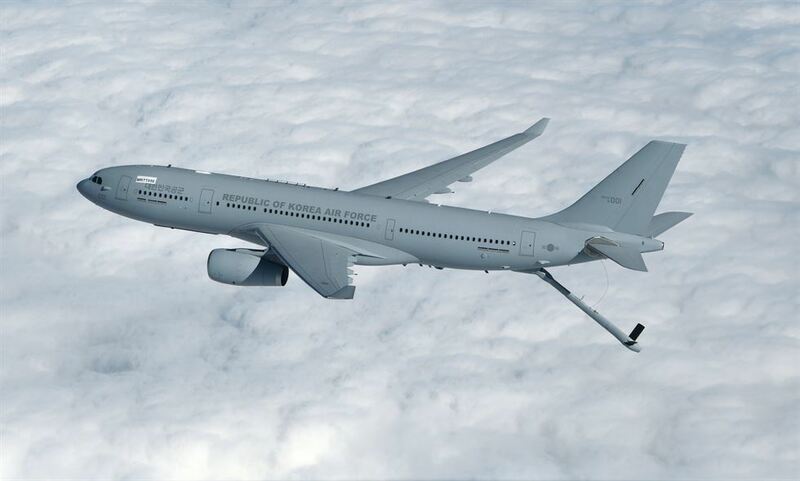 The KC-330 Cygnus is actually an Airbus A330-200 MRTT, as it was named in ROKAF service. The aircraft will undergo further checks and is expected to be operational by April or May 2019, while deliveries of the third and forth units will be made by November and December 2019, respectively. APDJ previously reported that induction of the first unit last 30 January 2019.